Getting close to the market helps to drive what I term “customer lock in” – that phase of the supplier/customer relationship where there is a true partnership, mutual respect and a genuine win-win. Moving to lock in can absorb an enormous amount of time, effort and energy, however the rewards can be big. It also makes it very difficult for competitors to move in and occupy your space. Being embedded means any new entrant would have to untangle lots of relationships, systems and processes to get a foothold. A word of caution – never take relationships for granted and be aware of performance vs. KPIs. Customer complacency represents a real danger zone for businesses. 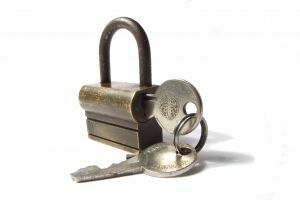 Lock in delivers true competitive advantage. Here they are, and they work! Live in the “Customer’s World” and deliver services and products that capture their need and voice. Build long-term relationship and keep coming up with new ideas to address their challenges. Disciplined systems and processes need to be put in place – KPIs that provide a real time state of business health are vital. Key your eye on cash and how you finance your company. Get expert help. Become great at selling and put the sales engine in place – sales are the lifeblood of any organisations, sell what you believe in as well as the products and services you offer. Personal development is the ultimate source of competitive advantage – be aware of what you are good and bad at. Review how you are performing in relation to the Ten Silver Bullets ! What do I think about the LEAD programme? I was asked today what I thought about the LEAD programme. The truth is it should still be running. For me LEAD was a fantastic stimulus for both personal and organisational change. It helped leaders to personally and professionally grow. Any leader should be promoting the fundamental importance of sales. Great selling is about adding value, leaving positive mental imprints of yourself and your business. Integrity, trust and a strong reputation are key foundations of happy customers. Remember – the desk is a very dangerous place to view the market and your customers needs, get out there and practice the philosophy of success is 20% thinking and 80% doing! LEAD helped to embed these very important principles for growth – bring it back ! Bravery and courage are important traits of successful entrepreneurs. All too often there is a very fine dividing line between success and failure, the implications on either outcome can equally profound. Rene Carayol, a leading management thinker and person I truly admire talks about the need to sometimes practice “scary strategies”. These are methodologies that need to be employed in order to achieve a breakthrough or pursue big personal/business intention. They often involve raising the bar and extension of our natural comfort zones. Scary strategies are particularly appropriate in difficult selling situations where there is a real need to demonstrate competitive advantage e.g. dislodging an incumbent supplier from a long-standing relationship or as a small business pitching against a global brand. Scary strategies should be considered when all traditional methods of winning business have failed. Doing something memorable that is innovative, inspiring and displays a real sense imagination can sometimes win the day. You are currently browsing the archives for the Customer Relationships category.